Come and join us on the fastest and safest triathlon course in CT for the seventh edition of the Aqua I.V. Seaside Sprint presented by Mini of Fairfield County. 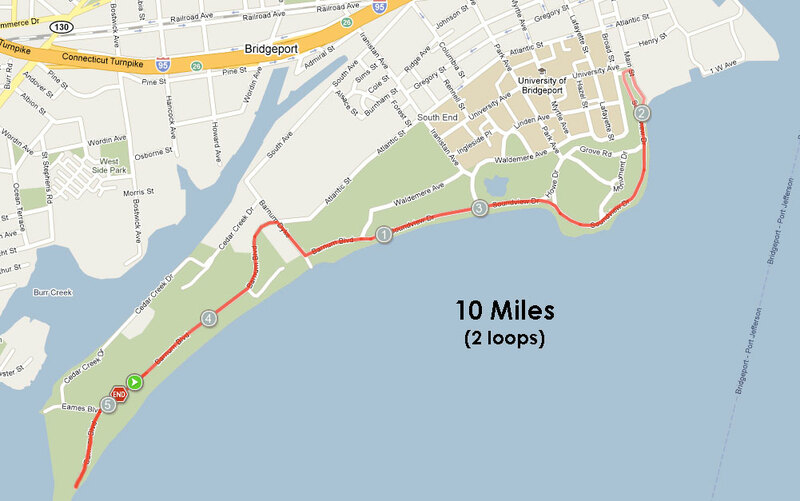 This sprint-distance race is set at beautiful Seaside Park in Bridgeport CT. 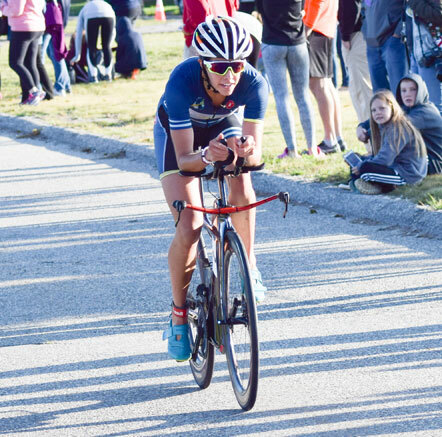 The course is flat and closed to traffic which makes it an ideal safe start race of your 2019 triathlon season. 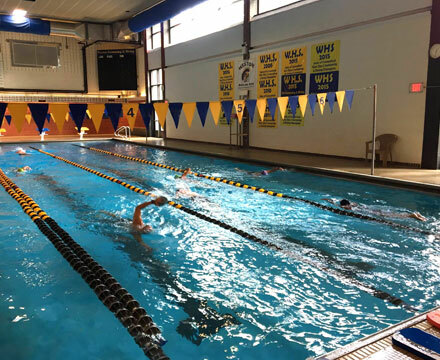 We are also offering a duathlon distance to all our no swimmers athletes! Perfect for beginners and seasoned athletes, this race will set your calendar for a perfect first race of the season. Register now to receive the best race pricing and to secure your spot! 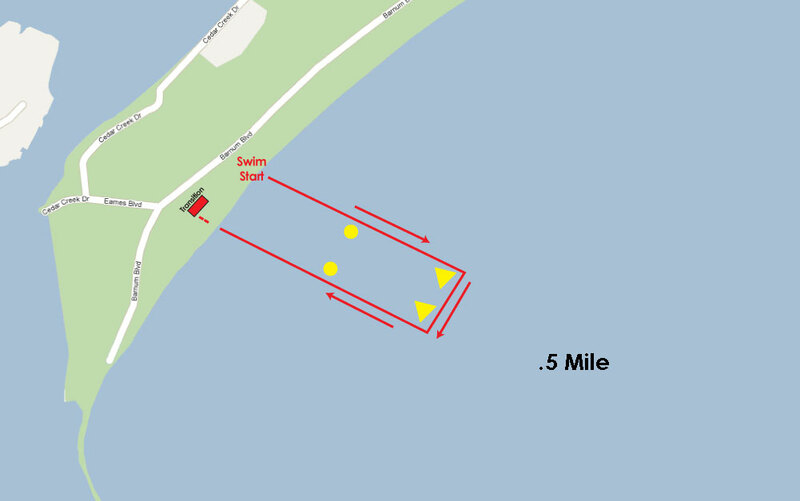 The swim will be one loop in the Sound from the sandy shore of Seaside Park for the triathletes or a 1.5 mile run for the duathletes. The bike consists of 2 loops of 5 miles each, very flat and closed to all traffic for triathletes and duathletes. 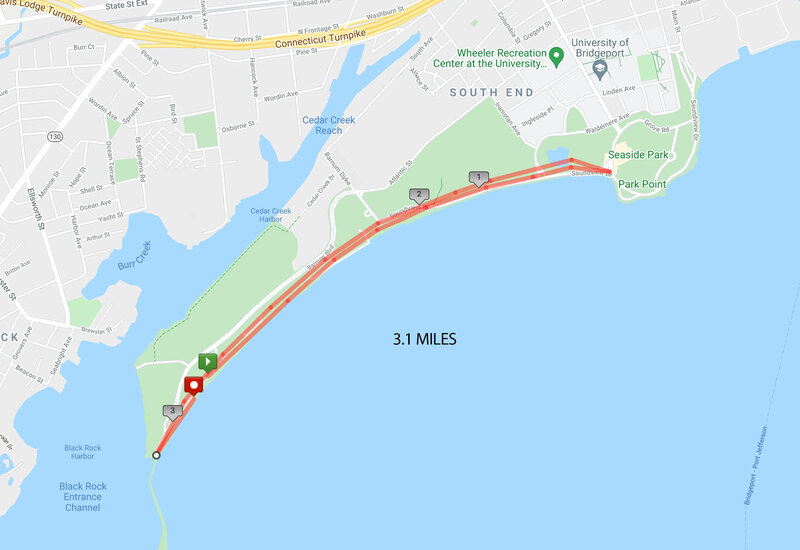 The run is one flat loop of 3.1 miles for triathletes and duathletes. The course is very family friendly. Great food and Age Group awards. Relay teams are available and encouraged! Get a team of friends or co-workers and do it for fun, fitness and great achievement! Part of the proceeds will go to The Caroline House. The Caroline House is a comprehensive nondenominational education center teaching literacy and life skills to economically disadvantaged immigrant women and children. Since opening its doors, The Caroline House has nurtured and educated hundreds of women and children. Our home-like setting provides a comfortable and encouraging place in which to deliver this much needed service. All programs and services are provided free of charge. Grants, foundations and individual donors provide the financial support for our center. 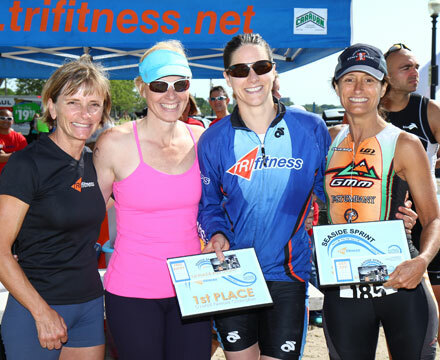 The OSM Seaside Sprint Triathlon & Duathlon race photographer will be Jerri Graham Photography. CLICK HERE TO VIEW THE 2018 SEASIDE RACE PHOTOS. 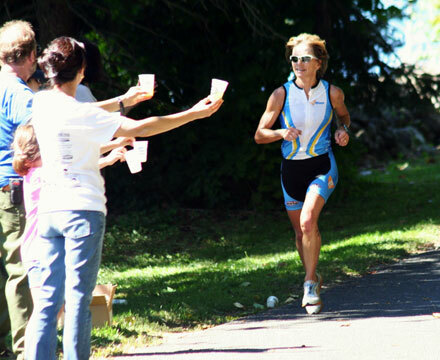 Come and learn from All American Triathlete and Level 2 USAT Certified Triathlon Coach Pascale Butcher and Gene Tekmyster, DO Sports Medicine and Triathlete tips and tricks to a faster triathlon & duathlon. Swim, bike, run and transition will be covered. Free Event! Bring your bike, helmet and running shoes. RSVP to let us know you will attend! Your kindness to me today touched me deeply. It so happened that, after almost a quarter century in this activity, physical issues have caused me to retire today. Today, all of the trifitness team put a beautiful exclamation point on those years. Thank you.Alan S.
This is a Tentative Schedule! The correct schedule will be posted closer to race day. Sunday, June 9- Race Day! Tentative Rehearsal Date is Saturday, June 1st. Check back closer to race day for the confirmed date.